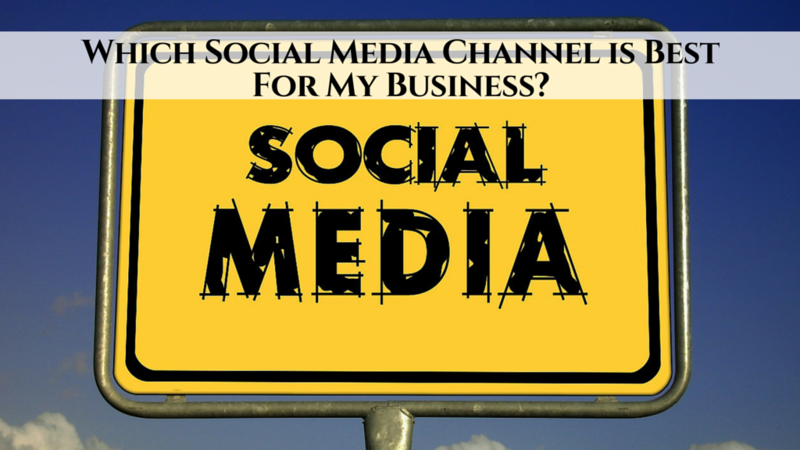 Home » Internet Marketing » Social Media Marketing » Which Social Media Channel is Best For My Business? Social media has become an important part of marketing. More and more people are turning to social media to find products instead of searching on search engines. 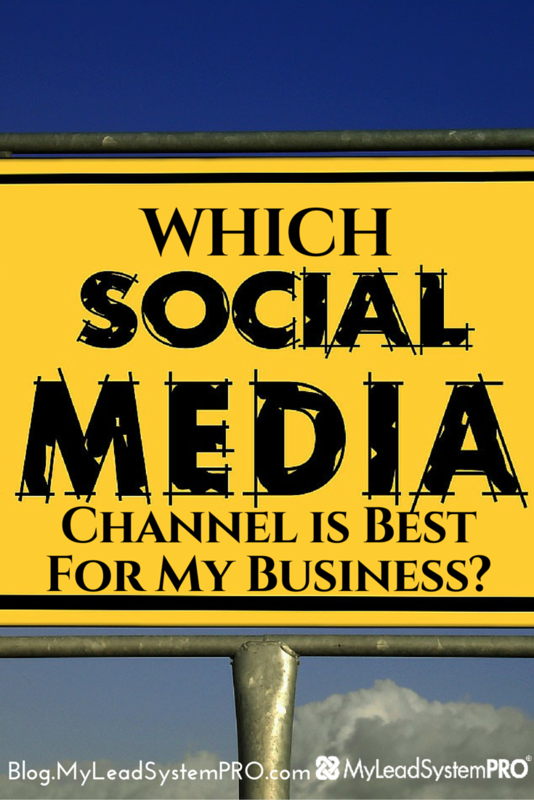 But with so many social media channels to choose from, it’s hard to decide which is best for you and your business. To help you decide, there are a couple of things you should know first. People are searching social media, not just socializing. Each social media channel has a different audience that they cater to. Understanding your audience could bring you tons of warm leads for your business. What kind of business do you have? What age range is your product or service for? Is your product or service for men, women, teens or children? Choose your social media channel intentionally. Answering these questions can help you determine the social media strategy that is best for your business. 2. How Do You Want To Communicate With Your Audience? There are 3 basic methods to communicate on social media: text, still images and video. This is the easiest and most common way to communicate online. It can include short tweet you post on Facebook or a status update on Twitter. This can include pictures taken of your products, live events, life on the road, your workspace, etc. Additional ways to use visuals online are to upload picture quotes or anything that will catch the attention of distracted followers online. Video has become one of the most popular ways that people absorb information online. You can record a video on your phone of you interviewing people, tutorials or video your everyday life. With new features such as Facebook Live where you can record live video, you can hold Q&A sessions or live trainings. Now that we know what audience we want to target and how we want to start targeting them, let’s take a look at the current most popular social media channels. Facebook is the most popular social media platform. Facebook is not only has the biggest network, it is most versatile. It’s a great starting point for your business, regardless of your industry. Users can share text, photos, recorded and live videos and links. 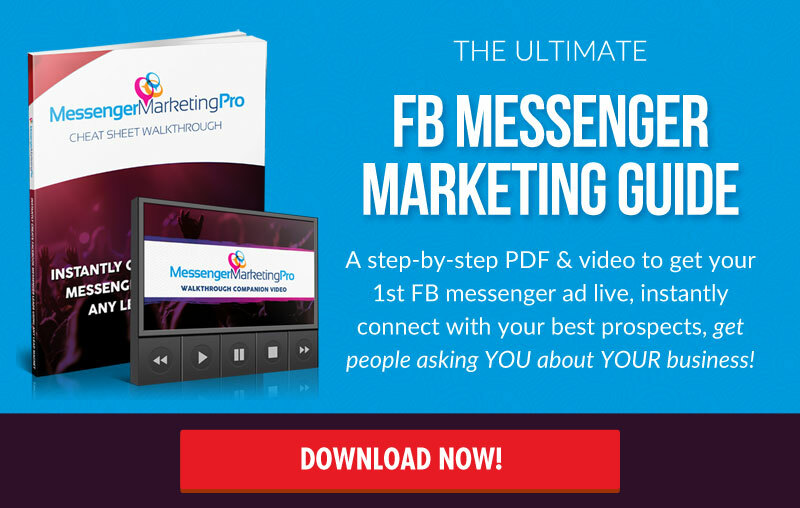 Pros – Facebook offers exposure for your brand and drive social interaction. It’s great for generating and fostering relationships. You can target and advertise to your specific audience to increase your chances of sales. You can even narrow your audience to a specific area. Cons – Everyone knows when you are on Facebook. With so many people using Facebook, competition is very high. Facebook has become highly saturated with brands and advertisers. Twitter is a great way to connect with people from around the world. Because of its wide reach, it is a great way to market your business. It’s also an effective channel for handling customer service. Users can post or “tweet” messages that are less than 140 characters. Users can also post photos, links, polls and 30 second videos. It’s the perfect medium for promoting big events, news and specials. And it’s one of the only platforms where you have access to public figures. Pros – With Twitter, you receive instant news. Has the ability for you to send and receive quick responses from customers. Retweeting and sharing other user’s content is simple, hashtags help boost posts and content can the potential to go viral. Cons – Twitter is very fast moving. It has a high volume of content at high speed. This makes it difficult to connect with relevant people and content because notifications move at the speed of light. The character limit can be a bit challenging for some. Instagram is a mobile app based entirely on photos and 60 second videos. Many users post about food, art, travel and similar subjects. With its unique filters and photo and video editing options, you can create visual content that can help you grow a massive following. 90% of the users are under the age of 35. Pros – Instagram is easy to scroll since all the posts are comprised of photos and videos. This appeals to a mass audience. Instagram is great for personal branding and social proof. It’s easy to network by liking and commenting on others photos. Cons – The biggest setback for marketing on Instagram is you cannot post links. However, you can post your link in your profile. There is less one on one interaction than other social media channels. Instagram is almost entirely mobile. Pinterest is a social media channel consisting of digital bulletin boards where you can save and display photos and video in the form of pins. It’s like on online collage with photos and videos. Users can create and organize their boards based on categories. Women primarily use Pinterest. Women account for about 80% of the users. Pros – Pinterest is perfect for those whose audience is mostly women. It’s great for finding ideas and selling products. You can link back to your content by using keyword and hashtags to make your photos searchable. Users tend to spend more money, more often than the other top 5 social media channels. Cons – You need highly visual and unique content to make an impact. You can message other users, but you can’t engage or interact with them. Also, pins from other websites will link back to the source image. So it’s best to pin your own images. Youtube is the largest video sharing network. This channel is great for video blogs and allows for comments and interactions. Youtube has also become the second largest search engine behind Google. It’s also one of the most shared content channels. Pros – Youtube is one of the best ways to build your brand and interact with people through comments. You can gain credibility by offering valuable tips, tutorials, give insight about you and your company, etc. Google owns Youtube. So having content on Youtube can boost your ranking on Google search results. Cons – Youtube has a lot of competition. It’s difficult to redirect traffic to your website through videos and Youtube does not link to your website if you embed videos. Although, a video doesn’t have to be expensive or fancy in order to be effective on Youtube, there can be costs for equipment and editing software. Google+ is a social media channel set up by Google. Because of this Google+ has a deep interaction with Google sites and services. Users can share text, photos, links and videos. Users can also offer profiles, status updates and create circles and hangouts. Over 50% of Google+ users are men. Pros – Google+ is an easy way to interact with clients, customers and other users. Since Google+ is owned by Google, which means great search engine results for your business. There is great interaction with Google Hangout. Cons – Compared to other social media channels, there is a low audience on Google+. If users are not logged in to their Google account or if you are not in their circle, you posts are less likely to show in search engine results. Some features can be difficult to learn. Snapchat is the new kid on the block. It’s a mobile app that allows users to share pictures and quick 10 second videos. You can add captions and/or draw on these posts. Users can send messages, video chat and post “stories” for others to view for 24 hours. It’s growing in popularity with 71% of the users being under the age of 34. Pros – Snapchat allows you to engage with customers on a personal level. Messages are similar to MMS, but you are free to message your network. It can be used a marketing tool to host giveaways and contests where users can send a snap back to enter. Saves memory on your phone due to photos and videos storing in the app, not your phone. Cons – Creativity is required for Snapchat. All the content is unique so many have a hard time with creating content. There are a few privacy concerns, spam issues and no censorship. The above are just a few of the social media channels available. Knowing which channels to focus on can really help you and your business. With so many social media channels to choose from, it’s hard to decide which is best for you and your business. It was about 2 years ago when we came across My Lead System Pro. My husband, Steven, and I had been part-time network marketers for years but never really had any major success. Through our research we found that many leaders were apart of this system called MLSP. What we discovered after attending various training webinars and watching countless recorded training videos was that, we had been doing our businesses all-wrong. Around June 2012, we made the decision to take massive action and start experimenting with several marketing strategies we learned from MLSP. Several months later, we were both in a position to quit our jobs using the video marketing strategies MLSP taught us. MLSP has taught us how to brand ourselves online, create our own products, generate 25-40+ leads a day and how to be effective leaders. It’s been over a year now since we became full-time Internet marketers. It’s truly been a blessing to have been able to generate over 12,000+ leads, and thousands of online sales… We have seen major results with everything we touch using the “Attraction Marketing” strategies MLSP teaches. You can do this… we believe in you! Great review of the social channels and their audiences, Lanacia – this is really helpful. Thank you! Glad you found value with it Joyce. Super simple yet excellent review! I know a lot of small business owners that will find this post helpful.